Anaha epitomizes inspired design. Envisioned by leading architects and interior designers, every space within Anaha, and the facade itself, is an expression of grace, elegance and innovation. Anaha 3800, is one of two grand Penthouse residences within the building offering spectacular Diamond Head and ocean views, and raising the benchmark for luxury living in one of the world’s most desirable locations. The build out of this stunning residence is scheduled for completion in 2019. Floor plans and finish specifications will be available upon request. Design features include over 6,730 square feet of interior living areas and a private roof top terrace with infinity pool. Amenities of a luxury resort, ten foot high ceilings and a brilliant rolling glass facade. 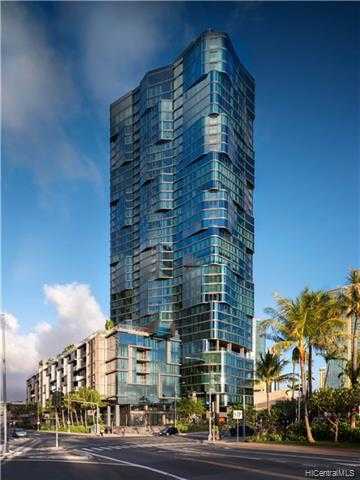 Please, send me more information on this property: MLS# 201822053 – $22,800,000 – 1108 Auahi Street Unit 3800, Honolulu, HI 96814. I would like to schedule a showing appointment for this property: MLS# 201822053 – $22,800,000 – 1108 Auahi Street Unit 3800, Honolulu, HI 96814.